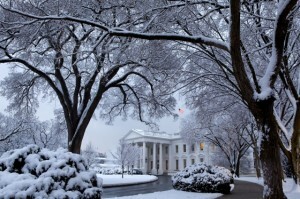 How Will You Know When USCIS Declares a Snow Day? When local schools are closed due to snow, you will usually hear it announced it on local radio and TV stations (and you can hear the cheers from around the neighborhood). But how do you find out whether the office of U.S. Citizenship and Immigration Services (USCIS) at which you are scheduled to attend an interview or provide your biometrics has been closed due to bad (sometimes called “inclement”) weather? Sometimes the media may mention the closure of federal buildings, but it’s best not to count on this as your sole source of information. If you have a lawyer, and he or she is a member of the American Immigration Lawyers’ Association (AILA), your lawyer will likely receive an email with any notifications of USCIS office closings. If you don’t have a lawyer working on your immigration case, however, you may need to do a little research on your own if the weather is looking bad. USCIS does not make any attempt to reach out to people individually — trying to call or even email the thousands of people who are scheduled for appointments on a given day would probably take well into that night! The most reliable source of such information is on the “Field Office Closings” page of the USCIS website. On most days, it will simply say (in the top paragraph under the date) “All offices are open on schedule today.” On other days, however, this page will state which of USCIS’s offices nationwide are closed. According to a USCIS spokesperson whom I contacted, they also make an effort to advise people via social media, including the USCIS Facebook page and Twitter. If in doubt, you could also try calling the National Customer Service Center at 800-375-5283. If you are still in doubt, do your best to make it to your appointment. Failure to do so could result in weeks of delay at best, and possible denial of your application for immigration benefits.